9.3.1 Open Meetings: With the consent of the Council, all members of the Green Party of Los Angeles County may participate in the 'Consensus-seeking Process' but only Council members may hold any 'unresolved concerns' and participate in any vote, should one become necessary. Relevant By-Law 7.5.2.3 The agenda may be amended by a 3/5 vote of County Councilmember present. Emergency and/or late items may be added to the agenda by a 2/3 vote of County Councilmembers (in the interest of time, suggested amendments and their rationale should be offered on-line before the meeting) Proposal (Feinstein): Add all items below marked with an asterik * as late items by a 2/3 vote at the time and place in the agenda as proposed below. Proposal: Endorse Danielle Mead for Neighborhood Council, send an email blast to Greens in her Neighborhood Council district appraising them of the GPLAC's endorsement. Background: Cynthia Santiago is a Green from Los Angeles County who has been a key immigration attorney fighting deportations and aiding immigrants during the Trump and Obama administrations. Recently she has visited a detention campaign in Texas and Central American migrants in a fútbol stadium in Tijuana. As a Green Party member working on the frontlines of these issues, Cynthia can speak from personal experience and provide real life accounts, and connect them from a Green perspective. The timing in February would give give time to prepare and publicize the livestream, and it would occur soon after Trump stages his media event in late January where he will claim part of his border wall are already being built. This even would require a broadcast platform to livestream the presentation, working with GPUS webmaster David Doonan to create a web page for the event, working with GPUS staff member Starlene Rankin to send email blast to promote it, working with Doonan to promote it on GPUS social media. Background: Feinstein will provide an update on the latest importation of Green registration data, GPLAC email blasts sent, and a projection of future costs. Thus far we have received a commitment from Department of Neighborhood Empowerment staff and from Greens who have served on Neighborhood Councils to attend. Proposal: Establish the tentative schedule and agenda, and apppoint those Greens who will be responsible for running the event. Background: Brown has raised the possiblty of an Eastside worksho and has infomation on a potential venue and cost. Proposal: That the GPLAC select its next two meeting dates. Background: The candidate endorsement process within the GPCA is that county parties make endorsements for all races other than the statewide races like Governor or U.S. Senate, which are made by the state party. This allows local Greens to make endorsements for local races, and statewide Greens to make endorsements for statewide races. Those endorsements are then supposed to be reported for inclusion in the Voter Information Guide. Based upon these endorsements, the GPCA State Coordinating Committee is supposed to authorize the GPCA Liaison to the Secretary of State (Jared Laiti) to report to a given County Registrar, any candidate endorsements made by that County Green Party and upon that basis, the endorsements would be listed in the official Voter Information Guide for that County. In the spring of 2018, the GPLAC endorsed Rodolfo Cortes Barragan and Kenneth Mejia for U.S. Congress https://losangeles.cagreens.org/issues/endorsements-spring-2018, and those endorsements continued through the November general election once thos candidates advanced to the November general election ballot https://losangeles.cagreens.org/issues/endorsements-fall-2018. Unfortunately the Coordinating Committee failed to take that action. In fact it took no action on those candidacies, nor did it contact the GPLAC at any time during this process. This letter to Cortes Barragan and to Mejia summarizes the Coordinating Committees failure to act https://losangeles.cagreens.org/county-council/letter/2018-08-18. This letter also contains a proposal to rectify this situation in the future, by amending the responsiblities of the GPCA LIaison to the Secretary of State an. That proposal has not been acted upon by the Coordinating Committee. Under GPCA Bylaws 13-2 http://www.cagreens.org/bylaws/2016-07-03#Article_13-2_Amendment, County Green Parties may sponsor amendments to the GPCA Bylaws. Before they are forwarded to the General Assembly or the Standing General Assembly, each proposed amendment must be submitted to the Bylaws Committee, for its review and recommendations to the sponsors, including to promote consistency in numbering, format, terminology and meaning with existing documents, and to minimize ambiguity and to promote clarify. The following draft bylaw contains duties of the Liaison to the Secretary of State as specified in the Green Party section of California Elections Code in 14-1 through 14-8, that would become codified in GPCA Bylaws, as well as other duties in 14-9 and 14-11 that are in common practice within the GPCA, but not in the Green Party section of the California Elections Code. An additional subsection 14-10 would be added to effectuate reporting to county parties and submission of their endorsed candidiates, to address the issue experienced by the GPLAC with its endorsed candidates this year. 14-1.1 The Liaison to the Secretary of State shall respond to all correspondence from the California Secretary of State, as specified by the Green Party section of the California Elections Code, regarding submission ot names by the GPCA for consideration by the Secretary of State in the determination of candidates to be placed on the Green Party presidential preference primary ballot, as specified by the Green Party section of the Califonria Elections Code. 14-1.2 The Liaison to the Secretary of State shall forward to the Coordinating Committee, a copy of the list and and any subsequent additions to the list of candidates placed on the Green Party presidential preference primary ballot by the Secretary of State. 14-1.3 The Liaison to the Secretary of State shall certify to the Secretary of State as specified by the Green Party section of the California Elections Code, the name of each elector nominated, and the elector's residence address, of the electors nominated by the GPCA for President and Vice President. 14-1.6 The Liaison to the Secretary of State shall forward to the Coordinating Committee, the certificate from the Secretary of State as specified by the Green Party section of the California Elections Code, stating the final total of votes cast for each candidate for member of county council, including the name, address, and ballot designation of each such candidate, and a specification as to which candidates were declared elected, upon completion of the official canvass. 14-1.7 The Liaison to the Secretary of State shall forward to the Coordinating Committee, the certificate from the Secretary of State as specified by the Green Party section of the California Elections Code, stating who are the elected members of all county councils. 14-1.8 The Liaison to the Secretary of State shall forward to the Coordinating Committee, as specified by the California Elections Code, any correspondance from the Secretary of State regarding length and submission deadlines for Political Party Statements of Purpose, and shall submit to the California Secretary of State, such Statements of Purpose as authorized by the Coordinating Commitee by the deadline required by the Secretary of State. 14-1.9 The Liaison to the Secretary of State shall forward to the Coordinating Committee, any correspondance from the Secretary of State regarding submission deadlines to report GPCA endorsements of statewide candidates; and shall submit to the California Secretary of State, such GPCA endorsements to the Secretary of State, as communicated by the Coordinating Commitee and/or as recorded in decisions of the Standing General Assembly. 14-1.10 The Liaison to the Secretary of State shall forward to the Coordinating Committee, any correspondance from the Secretary of State regarding submission deadlines to report county Green Party endorsements of non-statewide candidates for state and federal office, and shall forward to each individual county Green Party, said correspondance from the Secretary of State and/or any County Registrar of Voters regarding reporting endorsements from that individual county Green Party; and shall submit to the California Secretary of State, such county Green Party endorsements to the Secretary of State, with a copy to the Coordinating Committee, as communicated by the county Green Parties as recorded in the approved minutes of that county Green Party. 14-1.11 The Liaison to the Secretary of State shall forward to the Coordinating Committee, any correspondance from the Secretary of State requiring action by the GPCA or its county Green Parties, not otherwise contained herein; and shall respond to the Secretary of State accordingly, including at the direction of the Coordinating Committee. "The Facebook group for members and supporters of the Green Party of Los Angeles County, with a focus on candidates, officeholders, issues and organizing of the Green Party of Los Angeles County./El grupo de Facebook para los miembros y simpatizantes del Partido Verde del Condado de Los Ángeles, con un enfoque sobre los candidatos, los funcionarios, los temas y la organización del Partido Verde del Condado de Los Angeles. Participants in this group are politely asked to follow these guidelines when posting to this group./Los participantes de este grupo se les pide amablemente que siga estas directrices cuando envío mensajes a este grupo." 8-1.1 Promote and publicize the successes and achievements of the GPLAC, its candidates and officeholders, its leadership and its rank and file members. 8-1.2 Provide a source of objective, official information about the GPLAC, including its press statements, positions on ballot measures, platform and organization. 8-1.4 Provide opportunities for interaction and involvement in the GPLAC, as well as to GPCA, GPUS and international Green Party events and opportunities open to GPLAC members. 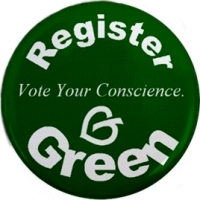 This [page, group} is for members and supporters of the Green Party of Los Angeles County, with a focus on candidates, officeholders, issues and organizing of the Green Party of Los Angeles County./El grupo de Facebook para los miembros y simpatizantes del Partido Verde del Condado de Los Ángeles, con un enfoque sobre los candidatos, los funcionarios, los temas y la organización del Partido Verde del Condado de Los Angeles. Participants in this group are politely asked to follow these guidelines when posting to this group./Los participantes de este grupo se les pide amablemente que siga estas directrices cuando envío mensajes a este grupo." 8-2.2 The County Council shall appoint administrators for the official GPCA social networking pages, whose responsibility shall be to post content in keeping with 8-1 and otherwise administer the pages in keepign with 8-1. The administrators shall make periodic reports to the County Coucnil and shall follow committee decisions regarding their work. This item is to provide for their report back from the General Assembly. Background: Discussion about County Council goals for 2019, such as: Green registration drives, outreach to grow the County Council, candiate recruitement and support. Background: GPLAC have or want to have a statement or view regarding new actions from different climate actions and groups, like Sunrise, Extinction Rebellion, Earthstrike.